You know something is not right when somebody creates a spoof of a recently announced official Nintendo console and then somehow makes their parody version somewhat superior - Ladies and Gentlemen, introducing ...the Nintendo 1DS. According to the spoof website (That is really impressive in itself! 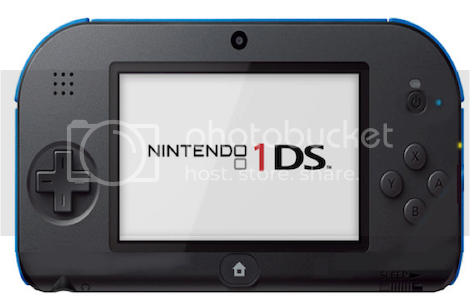 ), the Nintendo 1DS will allow you to play games on your HD TV whilst still being portable with a dual screen option using a iOS or Android mobile devices for the top screen. As it's only one screen, it keeps to the basics: a screen and controls with no other features. With an obscenely attractive fake price tag of $99 and the ability to play every Nintendo 3DS game, the Nintendo 1DS ironically looks amazing ...shame it's fake! Dammit Nintendo, this is where your decisions have led us ...fake amazing consoles!